Once your application has been approved and you've submitted your holding deposit, you'll want to make sure you're prepared to sign your lease. Remembering the following items will make your lease signing/move in appointment much smoother. 1. Please don't show up here expecting to move right in, and please don't send someone else over here to pick up your keys for you. You wont be able to take possession of your apartment until you have signed a lease/rental agreement. 2. We need to schedule an appointment for you to sign your lease, so if you don't already have an appointment and we are within a week of your desired move in date, please contact me to schedule. 3. Please bring all adults in your household to your appointment. All adults that will be living in your apartment must be present to sign the lease. Because of the time involved in signing the lease, I need everyone here to sign at the same time. 4. Don't come to your appointment expecting to move right in. You must sign your lease before you can take possession of the apartment, and if you show up with movers that you've paid or friends who want to help you but don't want to stand around and wait, you're going to be frustrated. We'll spend about an hour (maybe a little less, maybe a little more. Best bet is to plan for 1 hour) going through the lease and signing all the paperwork. After we're done with all the paperwork, I'll give you the keys and you'll take possession of the apartment. At that point, you can move in whenever you want. 5. Bring your money! You wont be allowed to take possession of the apartment if you don't pay what you owe up front. Plan on paying a full month rent + your security deposit (and surety bond, for more information about surety bonds read this article). If you have already submitted a holding deposit, you can subtract that amount from the total amount you'll need to move in. The premium for your surety bond must be a separate cashiers check/money order from the the rest of what you'll owe, and it must be payable to SureDeposit. 5.1 The rent you are actually charged is different than the amount I collect at move in. When you move in, I collect a full month of rent and a full security deposit. You're only actually charged for the amount of days since you took possession. For example, if you take possession of the apartment on April 15, you are only charged rent for 15 days. The balance of the money collected is applied as a credit to your next rent, so you go into your 2nd month with a credit that is equal to the amount you were charged for your first month. 5.2 For purposes of calculating daily rent, every month has 30 days, regardless of how many days is actually has. I multiply the daily rent by the number of days you posess the apartment your first and last month in order to pro-rate the rent. So if the monthly rent was $1000, we'd divide that by 30 to get the daily rent, $33.33. For an April 15 move in for a unit with $1000 rent, your pro-rated rent amount would be $499.95. 5.3 Please note if you move in on 2/15, being only 28 days in February, you'd only be charged for 14 days for February, but if you moved in on 8/31, you'd be charged for 17 days in August, as there are 31 days in August. 6. No personal checks! After you've moved in, you'll be able to pay with personal checks, but any money I collect from you before you've moved in must be guaranteed funds (cashiers check or money order). 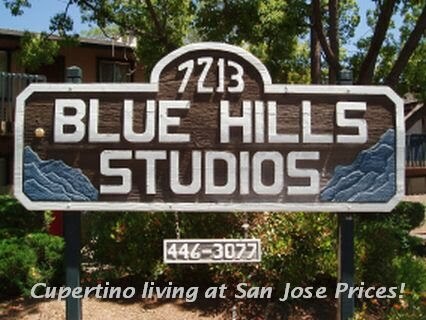 Please make your cashiers check or money order payable to "The Blue Hills Studios." 6.1 You'll need a separate cashiers check (or money order, as applicable) for your surety bond premium. The check for your surety bond must be made payable to SureDeposit. 7. For your convenience, the electricity will already be turned on in your apartment. After you get moved in, you'll want to contact PG&E to have the service transferred to your account. 8. After you sign your lease, I'll email you a copy of it. That email will contain important phone numbers you may want after you move in, including Comcast, AT&T, PG&E, etc. 9. Finally, Welcome! I'm really glad you've chosen the Blue Hills Studios. I want you to enjoy living here, so please let me know if there's anything I can do to make living here more enjoyable for you.